What if you give your ideas room to develop and expand? Let the ripples grow. What if you turn their forward motion into a plan for action? Each ripple is a step in your plan. What if you then act on that plan? One step at a time. If you can imagine the furthest ripple away from “now” … then you can reach it. 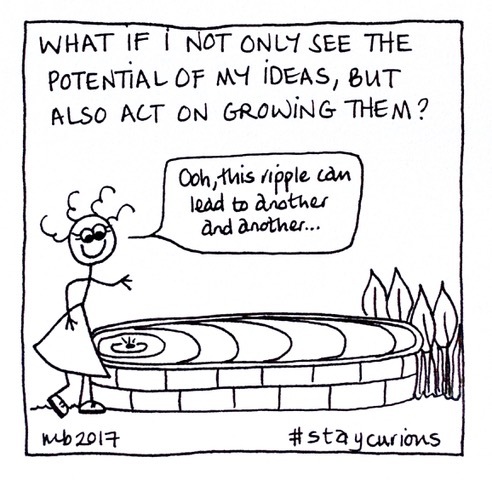 growthideaspotentialstay curiouswhat if I can?